We all know that having multiple windows and tabs opened in Chrome, can beat up your machine. So we struggle with one of the pointers to Attention Deficit Disorder (ADD). So we live with it, until we click on a new link, and everything drags down for what seems like moments. And, we are left wondering what is it this time. 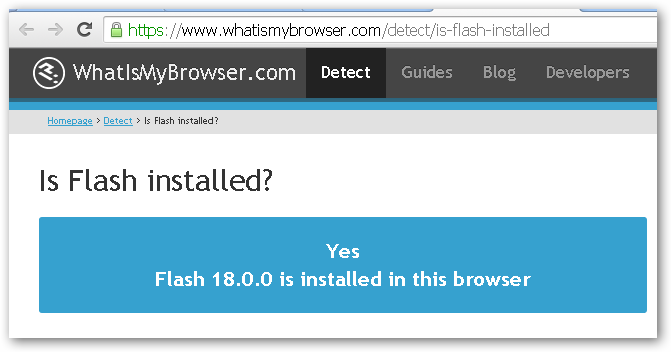 Is Flash Installed and Enabled? Let us measure the impact of having Flash enabled. We will simply use the Task Manager that comes with Google. I think with the advent of HTML5, I for one can jettison Flash. Love my YouTube Videoes, thankfully most of them have been converted from FLASH to HTML5…What an herculean effort that must have been. As Flash Videos are often autoplay, one can feel a bit overwhelmed with all the side shows. It is not just the memory consumed, but also the CPU and Network trffic that is negotiated. I think anyone who edits via WordPress will agree that the WordPress editor is itself a healthy eater of resources; especially memory. Friend called and says how much she is hating Adobe as she is unable to use Adobe Reader XI to open\read a document she printed to Adobe from Microsoft Word. Text – A problem caused the program to stop working correctly. Windows will close the program and notify you if a solution is available. You know the routine. Is the Problem Microsoft, Adobe, or interoperability? As she is using Adobe Acrobat X Pro as the Print Distiller \ Print Driver, I installed Adobe Acrobat X Pro, tried it on my newly installed MS Windows 7, as she is on that OS. Everything worked. I am able to print from Word to Adobe PDF. We next determine the version of Acrobat Reader that she is using. I am a big fan of Fox IT and had her download and tried it out. As always, worked reliably and fast. Repaired Adobe and thankfully she is now able to open and view MS Word -printedto- PDF documents in Adobe Acrobat Reader. 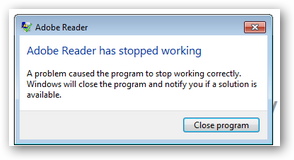 If the Adobe Reader Update does not work for you, I will say try to update to the latest version of Adobe. So the summary is to try using Acrobat Reader in-built Repair Utility. If that does not work, try to use the App’s built-in Upgrade functionality or track down the latest installation media \ files and install it. I will suggest that you have a copy of alternate PDF readers (Fox IT reader, etc) on hand. If for no other reason, it helps you quickly determine if the PDF file is a bit damaged. And, my personal take, is that these other utilities are a bit lightweight. I found myself having to catch up and read some .epub books. 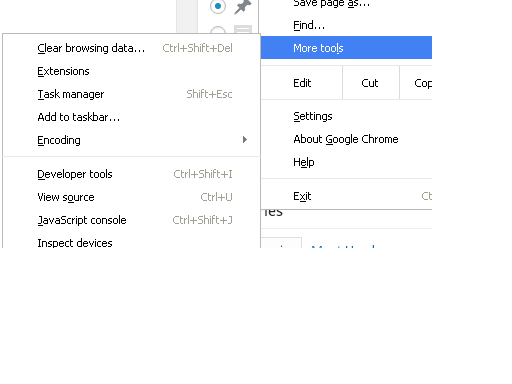 In this particular instance, this problem only occurred when we tried viewing from Mozilla Firefox; no problem on Microsoft IE nor Google Chrome. a) Where can I find direct downloads of Flash Player 10.3 for Windows or Macintosh? An old and dear friend calling yesterday afternoon saying she is having problems converting an Adobe\PDF document to MS Word doc. Looks like a good avenue for Google and so goggled and tried various websites and downloaded various conversion utilities. But, this particular PDF document appeared to be more image based rather than actual typed documents.